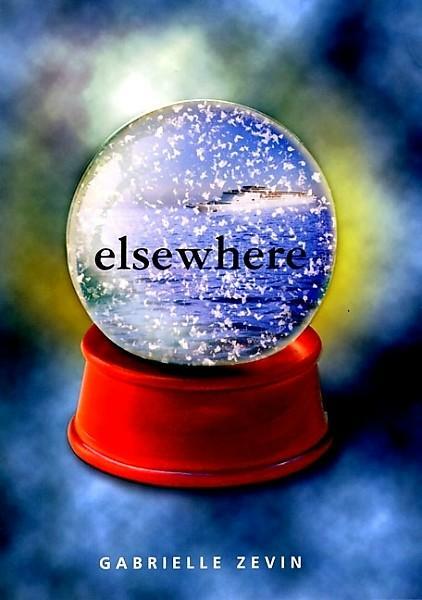 Book Review: Elsewhere by Gabrielle Zevin - fairy skeletons. Elsewhere is where fifteen-year-old Liz Hall ends up, after she has died. It is a place so like Earth, yet completely different. Here Liz will age backward from the day of her death until she becomes a baby again and returns to Earth. But Liz wants to turn sixteen, not fourteen again. She wants to get her driver’s license. She wants to graduate from high school and go to college. And now that she’s dead, Liz is being forced to live a life she doesn't want with a grandmother she has only just met. And it is not going well. How can Liz let go of the only life she has ever known and embrace a new one? Is it possible that a life lived in reverse is no different from a life lived forward? So this was a totally creative, wonderful book. The premise was very refreshing, the storytelling was marvelous, and Liz was just such an understandable, perfect character. I could relate to her and I loved that. The narration was somewhat distanced from everything and yet not too aloof, a great way to portray the book's characters. The use of present tense wasn't exactly gripping, but it brought a very clean, fresh tone to the piece. All of the supporting characters were pitch perfect as well - Owen, Betty, Curtis Jest, everybody. Yes, even the dogs. Did I mention there are dogs? It's not exactly one of those "This is quite queer, and I like that," books, but neither is it a "Boring" book. It's somewhere in between, a happy medium. There was just the right amount of philosophical musing and funny bits.